May 31, 2018 Accounting, Bookkeeping, Financial AccountingComments are off for this post. You Are Here:Home→Accounting, Bookkeeping, Financial Accounting→What is Financial Accounting? I’m not going to give you the definition of financial accounting from Wikipedia. 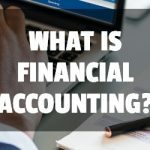 This site, financialaccounting.ca, is all about helping small businesses understand the value of bookkeeping and accounting, and to achieve that we need to try to translate financial lingo into actual words regular human beings might use in conversation. So What is Financial Accounting? Financial Accounting is the process of taking anything in your business that either cost you money, or made you money, recording it in some kind of system, and organizing it so that it all becomes useful information for future you (and also for the government in case you are audited). Ok, it’s way more complicated than that, but that’s a good start. Are you with me so far? Financial Accounting includes bookkeeping. For the rest of this article, when I say accounting, I’m referring to both bookkeeping and accounting. There will be another post soon about the key differences between an accountant and a bookkeeper, but for now, because we’re talking about the basics, just think of them as the same thing. Financial things, because they have numbers attached to them, are either positive or negative. Positive transactions usually increase your bank balance, or give you some positive benefit that is not money, but might help you make more money. Negative transactions usually decrease your bank balance, or have some negative effect like owing someone money in the future. Have you fallen asleep? Wake up! I’m trying to make this as simple (and entertaining…?) as possible, but it’s still accounting, so you might need caffeine or something stronger. The income statement is exactly what it sounds like. It’s a statement where you find out how much income you are making with your business. Income usually refers to net income. If I am a musician and I charge you $300 to play piano at your event, that $300 is revenue to me. It makes my bank balance increase. If you already have a piano at your event, and I live nearby, I might not have any direct costs to pay for this event. That $300 might be all mine. But I do have a website – that’s how you probably found me. That costs money to maintain and design. And I might go to other events to network with people and let them know I’m for hire, so those are costs too. And I might have to rent equipment, if you don’t already have a piano at your event. If I have a clothing store and I sell you a shirt for $20, that $20 is revenue to me. But I didn’t just get the shirt from nowhere. Either I bought it, or I paid someone to make it. Maybe my overall(pun intended) costs are $10. In either case, I would record the revenue in one place and the costs in another place. So the income statement shows your revenue minus your costs so you can figure out if you’re not charging enough for your piano services or your shirts. And then there are costs that aren’t specifically related to my services or specific products. These are called indirect costs. Like renting a rehearsal room if I’m practicing music with my band, or the rent I would have to pay for my clothing store. So you have to consider all possible costs, including things no one thinks about like bank fees. Revenue and expense accounting is about making sure that you have everything captured in the accounting system, so you can make the right decisions when you look back at your results. One way to make sure you’ve recorded everything is by doing a bank reconciliation, but stand by, we’ll get to that. Assets are things that you own. They are generally positive. There are items called contra-assets which are negative, but let’s reserve that for another post! So if we examine this list we see that one of the main things is cash or cash equivalents, like money in the bank or investments. This leads to an important thing to know about cash: It’s not the same as revenue. Revenue is what you charged for your service, but the cash you collected might have other things in it. Things like taxes. If you collected 13% HST on top of a sale, you don’t record that as revenue, but it’s in your cash balance. We’re just touching the surface in this post, but the thing to remember for now is that you shouldn’t look at your cash balance to determine whether you’re doing ok. In the HST example, some of that cash might be due to the government, and if you think that’s yours to spend, you could be in trouble. The other main type of thing in Assets is stuff that you bought, but can’t expense within a year. The general rule(and government rule) is that if you’re going to use something up within a year, or less, then it’s an expense and goes on the Income Statement. A good example is an office chair. Let’s say this chair cost you $200. You might want to put that on the income statement under “Chair Expense”. But a chair is going to last you more than one year. It is an Asset. Assets aren’t expensed, they are amortized(depreciated) over time. But someone might tell you that $200 is too little to amortize and anything under $500 can be expensed no matter how long the item lasts. This is called a materiality threshold and…wait for it…we’ll talk about that another day. So then you get this bright idea that instead of a $600 couch for your guests, you’re going to buy 3 chairs at $200 each, because someone told you that you can expense anything under $500, even if it appears to be an long-lasting asset. But then you hear that the government might look at your 4 chairs at a total of $800 and say that together they are one asset over $500 to be amortized, and you can’t just split something into smaller components to circumvent the rules. And then the government will charge you the taxes on the difference between the $800 expense and the $80 in amortization expense you were allowed to claim(furniture is class 8 CCA at 20%, with the half-year rule applied). Ok, this is getting complicated! But the idea is: don’t assume everything that you buy is an expense! A liability is something that you owe. (o-w-e not o-w-n) Liabilities are generally negative. But yes, there is such a thing as a contra-liability, not to be discussed here! Either they are debts that you explicitly acquired like a loan for expanding your business, or debts that are just part of the accounting process like bills you haven’t paid yet. Remember earlier when I said that your cash or bank balance is made up of a bunch of things, and you should never look at your cash balance and call that revenue? That’s because your cash balance includes some of your liabilities. Taxes payable, for example. Let’s say you have an HST Payable liability account with $1,000 in it. That means you owe the government $1,000. Maybe not now, maybe not even soon, but definitely once the year is over. So you need to make sure that $1,000 is always sitting in your cash balance, ready to be paid to the government. You do not spend that tax money, even if you have it for a year. Proper accounting makes sure that you are aware of the $1,000. Every time you make a taxable sale, the revenue goes to the income statement and the HST collected goes to the HST Payable Liability account on the balance sheet. Then if you ever want to know how much of your cash balance is actually owed to someone else, you go look at your balance sheet. 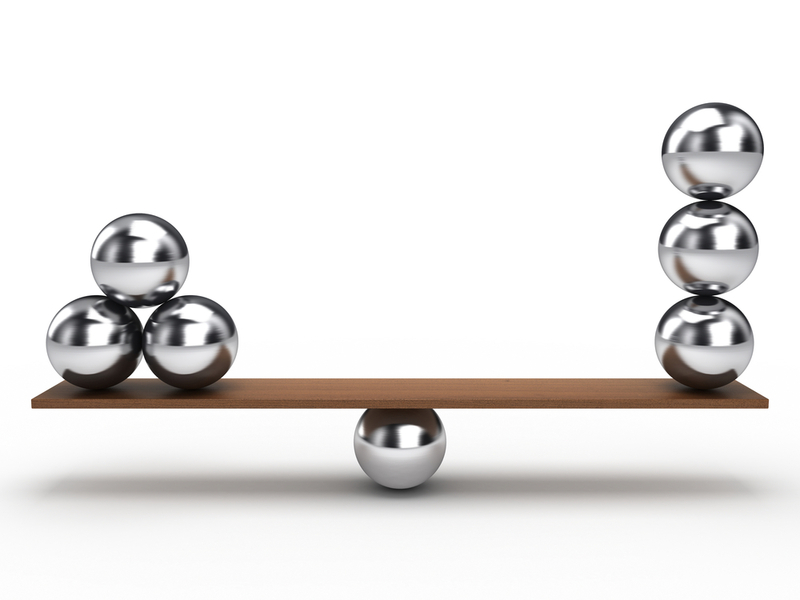 Equity is one of those interesting places on the balance sheet. The equity section is often just one or two lines. Also called Owner’s Equity, it’s money that you, the owner, have put into the company (and also taken out of the company). But…of course…wait for it…it’s way more complicated than that! What it means is that there are items in Liabilities and Equity that match every single item in my Assets, down to the penny. We already talked about how your HST payable liability is sitting in the Cash Asset, right? That’s a direct example. Another one would be if you got a loan specifically for equipment. When you buy the equipment, and before you start paying down the loan, and amortizing the equipment, the Loan account and Equipment account should be the same. That’s why it’s called a Balance Sheet. Another common example is: you took some of your personal money and transferred it to your business bank account. The accounting entry for that is to add money to your Bank Account Asset and increase the balancing Owner’s Equity account by the same amount. How does the cash collected for Revenues and spent on Expenses get balanced out? Remember that Net Income amount? The bottom line from the Income Statement? Net Income is the only thing that gets recorded on both the Income Statement and the Balance Sheet(in the Equity section). It’s almost impossible to explain something in financial accounting without referencing something else, which also needs explaining. It’s probably similar to trying to teach me how to fix a car. I know way too much about this stuff and at the same time there is so much I don’t know. I’m excited to break down the world of accounting and bookkeeping into bite-sized pieces and try to help you make sense of it all. You don’t need to know half of the stuff I know to do your own basic bookkeeping. So I hope you learned something today and I will come back to this cornerstone content and link to other posts as I write them.